Bogs of the Northeast, by Charles W. Johnson, 1985. A fascinating excursion into the mysterious world of the bog. Written in a non-technical and very readable style. 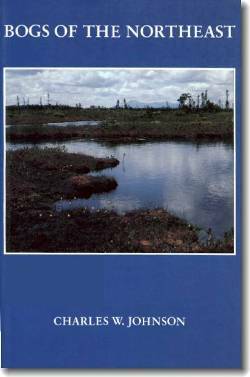 Covers the ecology of bogs and the unique flora and fauna that inhabit them. Appendix lists dozens of Northeastern bogs accessible to the naturalist. 269 pp, 5 ½” x 8 ½”.